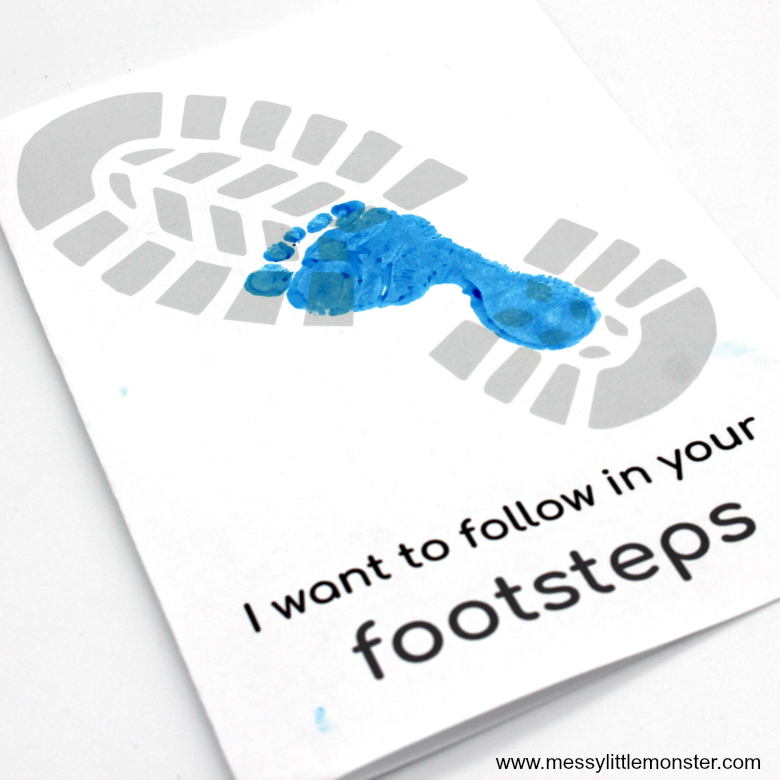 Turn this set of printable Father's Day cards into the cutest keepsake cards by adding tiny footprints, handprints or kids drawings to the printable card designs. 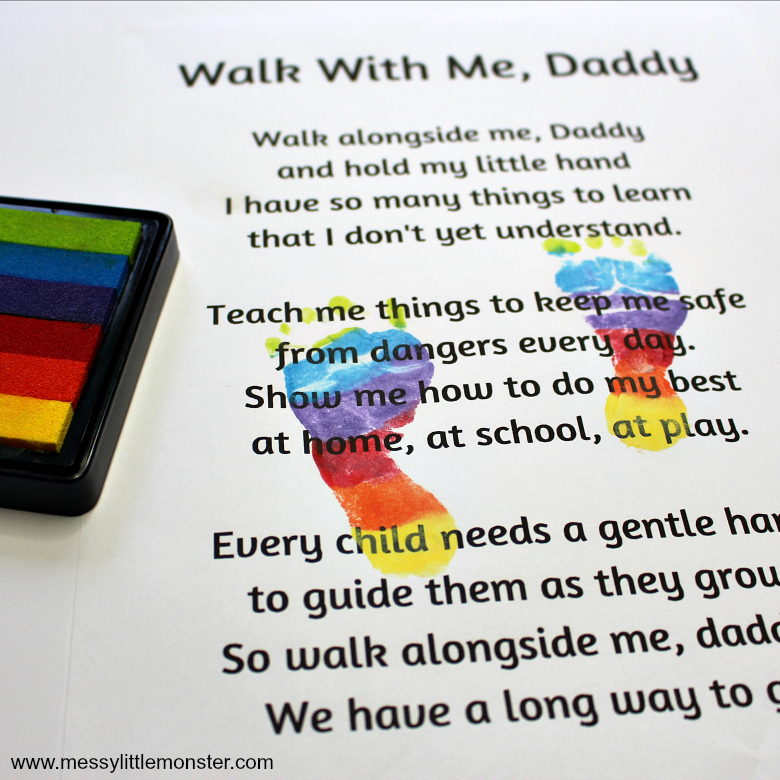 These easy Father's Day keepsake cards are perfect for babies, toddlers or preschoolers to make for Dad. The Father's Day poems and sayings are adorable! Make Dad feel special by giving him one fo these personalised printable card for Father's Day. 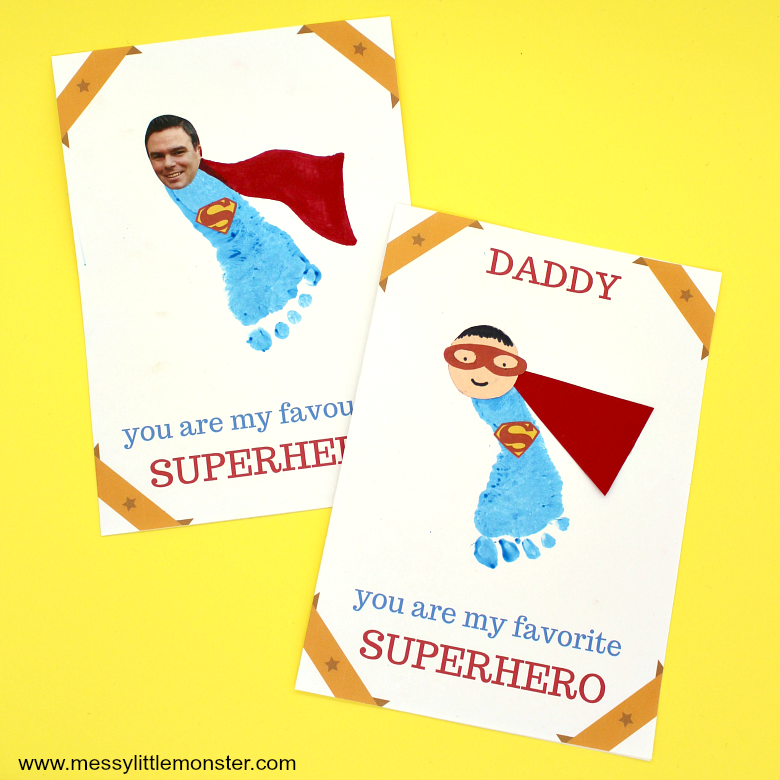 The handprints, footprints or kids's drawings on these cards will definitely make dad smile. Anything with a babies, toddlers or preschoolers handprint or footprint on always makes a cute keepsake. Adding one of the cute Father's Day poem or sayings makes these cards even more special. In this printable Father's Day card set there are six different Father's Day card designs available for you to download and print out at home. 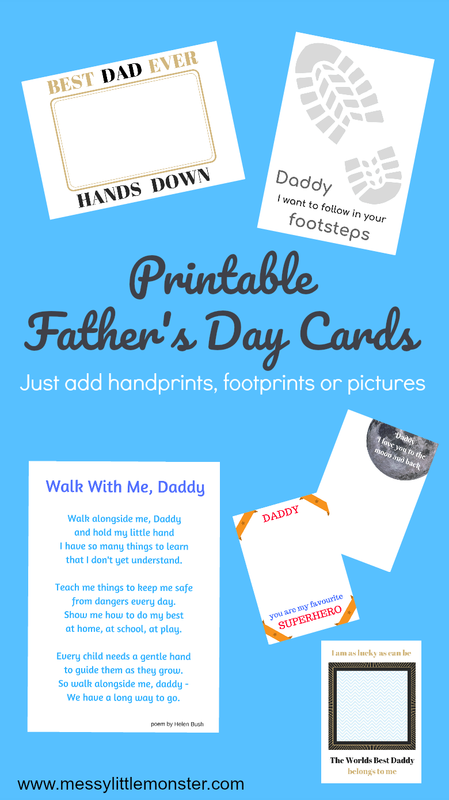 These printable Father's Day cards are really easy to make as you simply add your child's prints or drawings, so even if you are looking for a last minute Father's Day card idea you will still have time to make these! Take a look at all our homemade keepsake gift ideas too as there are some lovely ideas for gifts to make dad to give him with his Father's day card. You might also like to take a look at our Father's Day handprint art, superhero handprint coasters and handprint salt dough bowl. 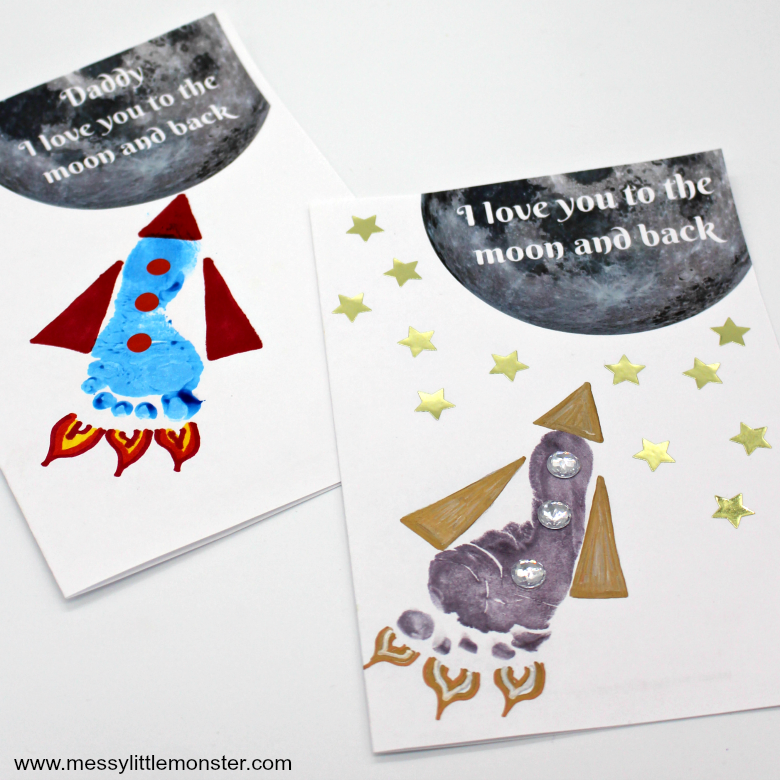 I love you to the moon and back - Add a footprint rocket! Each of the designs come as a card (half page A5 size) and as a poster (full page A4 size). 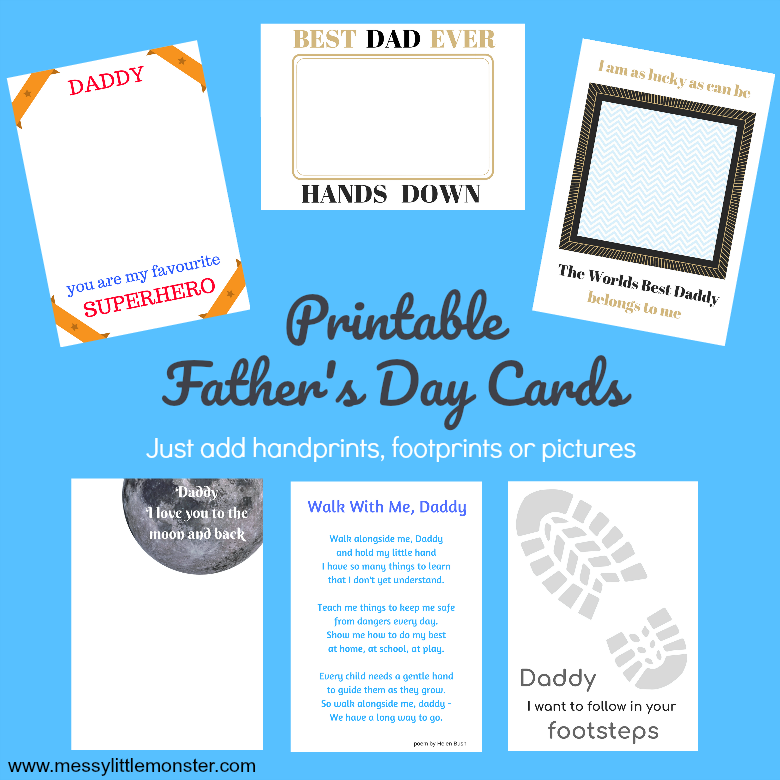 Here are a few examples of the cards that we have made using the printables in this Father's Day card set. They make such lovely keepsakes. If you want a homemade gift to go with your Father's Day card take a look at our collection of gifts kids can make for dad for more ideas. There is a small charge for this set of printable Father's Day cards. To download this set add $2 or more and click on the 'I want this' box below. It may take a moment for the page to load so please be patient. For personal use only. Not for redistribution. All images are copyrighted. When sharing this printable please link directly to this blog post and not to the PDF. Thank you. Have fun creating the perfect Father's Day card for Dad using these easy printable Fathers Day cards. Toddlers and preschoolers will feel so proud as they hand one of these adorable Father's Day cards to Dad. If you are looking for a DIY Father's day gift idea to give dad alongside his Father's Day card take a look at our superhero coasters, candy beer mug or our collection of homemade gift ideas.